Noble Machinery are able to supply all of the Lacotec range of products for more information please Contact Us. If you would like to see the entire range please click here to go to the Lacotec Website. Over recent years increasing numbers of tractors (particularly Fendts, Valtras and Claas Xerions) have been sold with reverse-drive kits. However uses for the facility are still fairly limited, buck-raking and mowing being the most common tasks. And, while reverse-drive foragers have been available previously, they’ve struggled to match the output of bigger trailed machines and smaller self-propelled units. Crucially they’ve lacked a corn-cracker and the ability to process maize kernels. Now that is set to change. 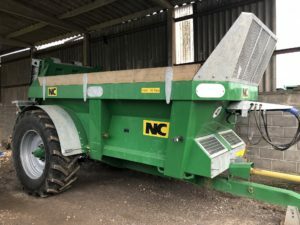 Somerset-based Noble Machinery has taken on the role of UK importer for Lacotec foragers which are the first machines of their type to boast an integral kernel-processor. Development of the Lacotec’s reverse-drive units has been spurred on by demand from contractors and farmers wanting to spread the cost and increase the workload of costly prime-movers. Capable of matching the output of smaller self-propelled harvesters, the LHII will handle up to 500hp. Importantly it has the big advantage that when there’s no chopping to be done it can be unhitched and the tractor can be used for other tasks. But it is the corn-cracker that is its most novel feature. For some years Lacotec has built its disc-type kernel processor for retro-fitting to self-propelled and trailed harvesters. Unlike conventional units that use pairs of rollers running at different speeds to crush the grain, this version uses inter-locking discs running at identical speeds to do the job. 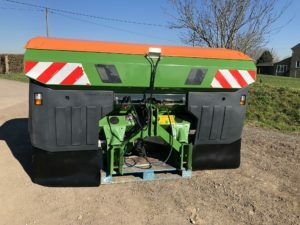 The key advantage of this is that the discs present a much greater surface area (270% more) to the crop as it passes through with the result that the corn-cracker is no longer the bottle-neck for material running through the forager and power requirement is significantly reduced. 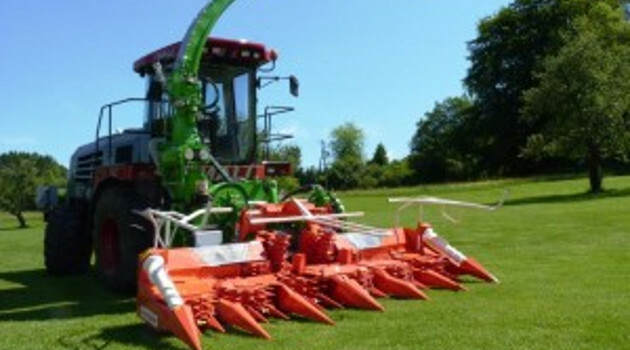 This concept has been adopted by Fendt in its new Katana forager and other harvester manufacturers are following suit. 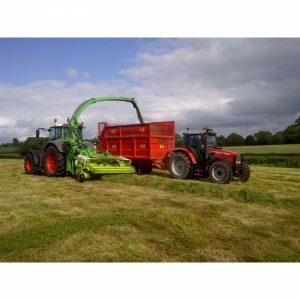 When it comes to crop intake the LHII can be kitted out with standard grass, wholecrop and maize headers from the likes of John Deere, Kemper and Claas. 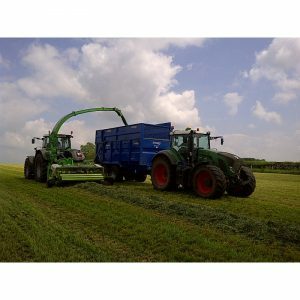 * Based in western Germany, Lacotec has been building grain mills and corn-crackers for other brands of forage-harvester for a number of years. 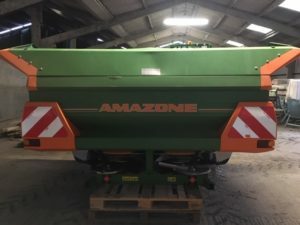 However the demand for machines capable of chopping maize has grown massively in recent times as biogas plants have become widespread across Germany and Austria. 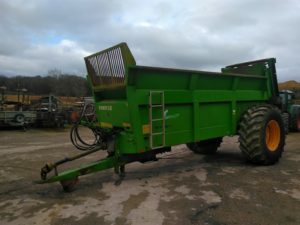 While self-propelled foragers remain a popular choice, there are a good number of smaller operators who cannot stretch to the capital outlay required for such expensive machines. 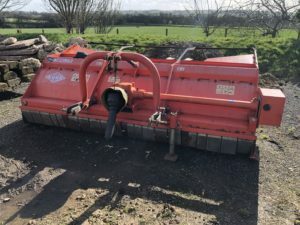 While such businesses may already have larger, more powerful tractors for other work such as cultivations, slurry-tanking, etc…, they often have quiet times when these costly prime-movers are parked up. 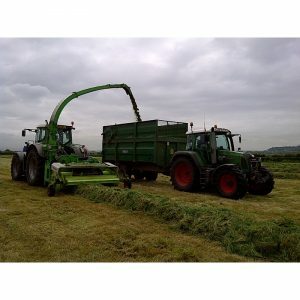 Adding silage harvesting to their workload is a simple means of spreading their cost.